Home to the University of Oregon Ducks, who take on UCLA in the Pac-12 Championship game tonight, Eugene has become my home and a city that I love to explore. 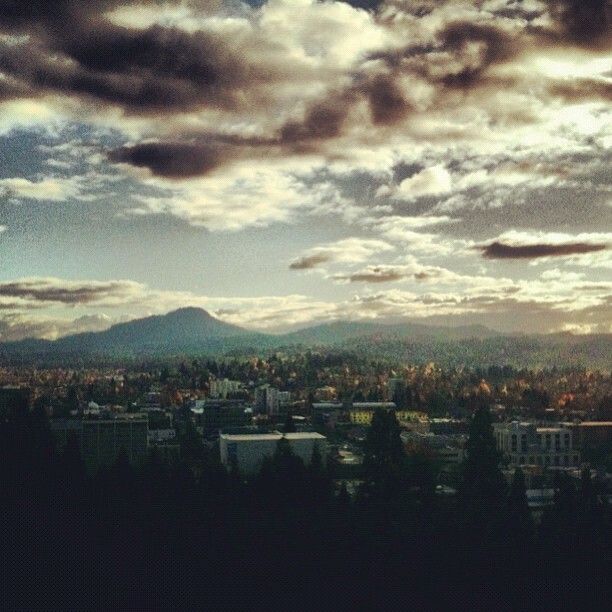 The below photo is a 180 degree view over downtown Eugene from Skinner’s Butte. On the far left you can see Autzen Stadium and the tall hill on the south horizon is Spencer’s Butte. Happy #FriFotos! Click the panoramic photo for a larger view. Instagram shot of the same view.